Carl Gustav Jung was a Swiss psychiatrist, influential thinker, and founder of Analytical Psychology, a form of Depth Psychology. 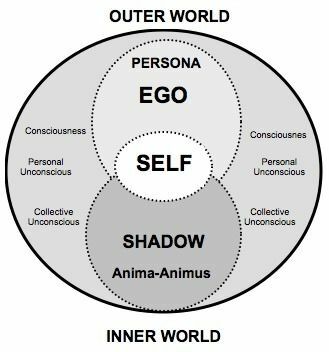 Jung’s unique and broadly influential approach to psychology emphasizes understanding the psyche through exploring the worlds of dreams, art, mythology, world religion and philosophy. 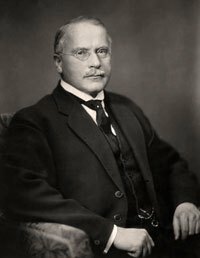 Although he was a theoretical psychologist and practicing clinician for most of his life, much of his life’s work was spent exploring other realms, including Eastern and Western philosophy, alchemy, astrology, sociology, as well as literature and the arts.Jung has had an enduring influence on psychology as well as wider society. ~ The concept of the complex, proven by his word association experiments. ~ Introduction of personality typology, which is widely used today, coining the terms introvert and extrovert. The Myers-Briggs Type Indicator (MBTI) was inspired by Jung’s psychological types theory. ~ Discovery of a deeper layer of the psyche, which he called the collective unconscious. ~ Development of the concept of synchronicity, as an alternative to the Causality Principle, that has influence even on modern physicists. ~ Spirituality as a cure for alcoholism. ~The theory of individuation, a process of personality development, which spans one’s entire lifetime. Jung emphasized the importance of balance and harmony. He cautioned that modern humans rely too heavily on science and logic and would benefit from integrating spirituality and appreciation of the unconscious realm. Jung’s work on himself and his patients convinced him that life has a spiritual purpose beyond material goals. Our main task, he believed, is to discover and fulfill our deep-innate potential, much as the acorn contains the potential to become the oak, or the caterpillar to become the butterfly. In the end the only events in my life worth telling are those when the imperishable world irrupted into this transitory one. That is why I speak chiefly of inner experiences, among which I include my dreams and visions. These form the prima materia of my scientific work. They were the fiery magma out of which the stone that had to be worked was crystallized. Inner experiences also set their seal on the outward events that came my way and assumed importance for me in youth or later on. I early arrived at the insight that when no answer comes from within to the problems and complexities of life, they ultimately mean very little. Outward circumstances are no substitute for inner experience. Therefore my life has been singularly poor in outward happenings. I cannot tell much about them, for it would strike me as hollow and insubstantial. I can understand myself only in the light of inner happenings. It is these that make up the singularity of my life, and with these my autobiography deals. Since his death in 1961, just before his 86th birthday, Jung’s work has become widely known. The first institutes for the training of Jungian analysts were founded in the early 1940’s in San Francisco and in 1948 in Zürich. There are now training institutes throughout the world.